In our June newsletter we focused on how Solar Power can be used with Demand Control to maximize savings and efficiency. Many times the use of Demand Control is a must in order to achieve savings with Solar PV Systems. This month we are moving to a different type of application… Quick Serve Restaurants. According to #Number Of.net, there are over 160,000 quick serve restaurants in America. Most cities have one on every corner, and even small towns are seeing increased growth as quick, convenient and inexpensive food has become the norm for the busy “American” lifestyle. You might be wondering what this has to do with Demand Control. With such extreme growth over the past 20 years in the Quick Serve Industry there has been a huge opportunity for energy efficiency in this market. Like any business, the Quick Serve Industry also searches for ways to increase their bottom line and reduce their operating costs in order to remain competitive. By utilizing demand control, some Quick Serve chains have had huge success meeting this goal. 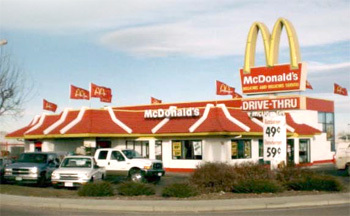 One of Brayden Automation’s first Quick Serve applications that used an Energy Sentry demand controller was installed in 1999 at a McDonald’s in Brighton, CO. The owner and franchisee of the McDonald’s, Boselli of Colorado, was referred to us by a Member Services Representative at the local utility, United Power. This McDonald’s was experiencing very high peaks in demand and because it was an all-electric building, it was the perfect candidate for demand control. After the site survey was complete, it was determined that there were many controllable electric loads at this location. The load factors before installing the demand controller averaged 52% and increased to 71% after the first year with increases as high as 81.4% in subsequent years. (The higher the load factor percentage, the more efficient the building). The Energy Sentry had less than a year payback, with total savings that exceeded $12,000 within the first two years of controlling their demand. Due to such a positive outcome, Boselli of Colorado installed an additional system in one of their other restaurants. 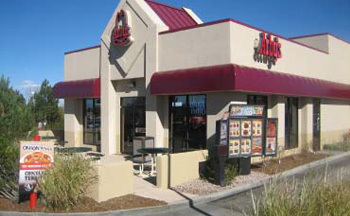 Another Quick Serve Chain that we’ve had recent success with is a group of Arby’s Restaurants. In 2010, our dealer Tom Sandoval with Peak Energy Control was contacted by Pat Kloberdanz, the facility manager for Bailey Companies that own several Arby’s restaurants spread throughout Colorado and Wyoming. Pat was experiencing high demand charges in several of the stores. After a comprehensive site survey and load factor analysis of previous years’ electric use, Tom found that demand control could provide great savings for several of their locations. 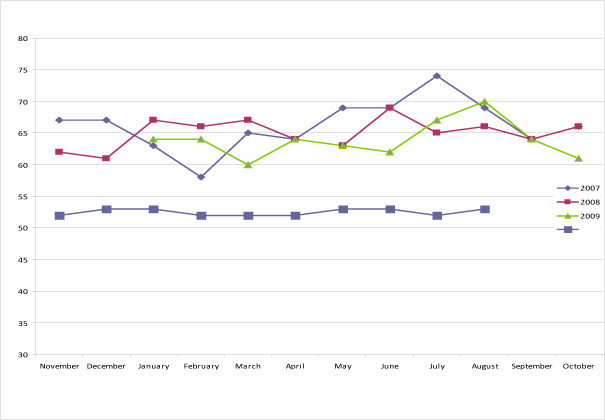 Below is a graph of the demand for one of the restaurants. 2007, 2008, and 2009 show a fairly consistent amount of uncontrolled use. After installing an Energy Sentry demand controller in 2010 the demand dropped substantially, and along with it came great savings! The average demand before control was 65kW and after installing the Energy Sentry it dropped to 52.5, yielding an annual savings of around $2,700. Due to such successful results an additional 45 stores were equipped with an Energy Sentry. The combined amount of savings from each store became quite substantial for the Bailey Companies, and the best part is the savings will continue for years to come! Demand control can be used for many types of buildings and applications and if done properly will produce great savings with improved efficiency. If you are at a location with several large electric loads, chances are you can benefit from demand control. Contact us today if you are interested in learning more about Energy Sentry demand management systems and how they can be used in your application. Please call us at (888) 272-9336.